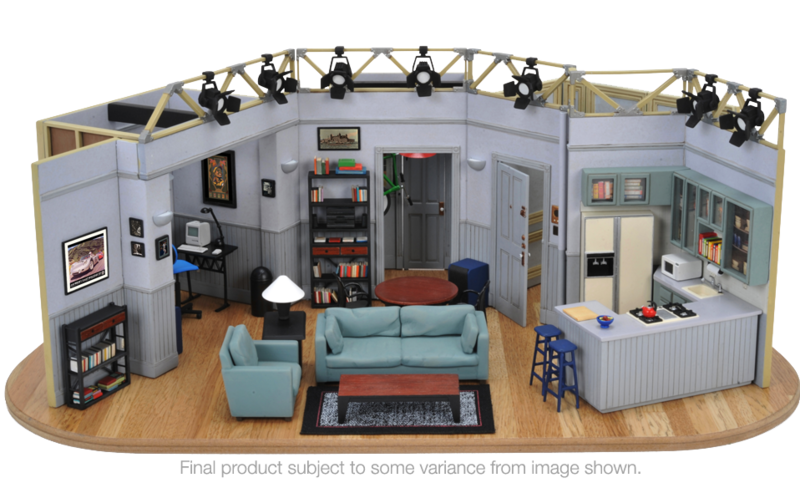 It's $400 to pre-order these 1:26 replicas of the set from Sienfeld, created by the show's production designer Tho. E. Azzari and miniaturist Alan Wolfson (they're $500 retail). The model contains many tiny details, including more than 100 accessories ("furniture, bicycle on the wall, lighting fixtures") and it's hand-painted and distressed, with metal, fabric and wood accents. It's also a normcore alternate-universe dead ringer for this $89 set-replica, which also happens to be the greatest toy of all time.